Clear cover protects ESD sensitive items and allows contents to be identified without opening the cover. Secure flap to remain open for access to the cart when the flap is opened. Lock zipper with the flap closed to prevent tampering with cart contents when not in use. Store documents on the outside of the cart. 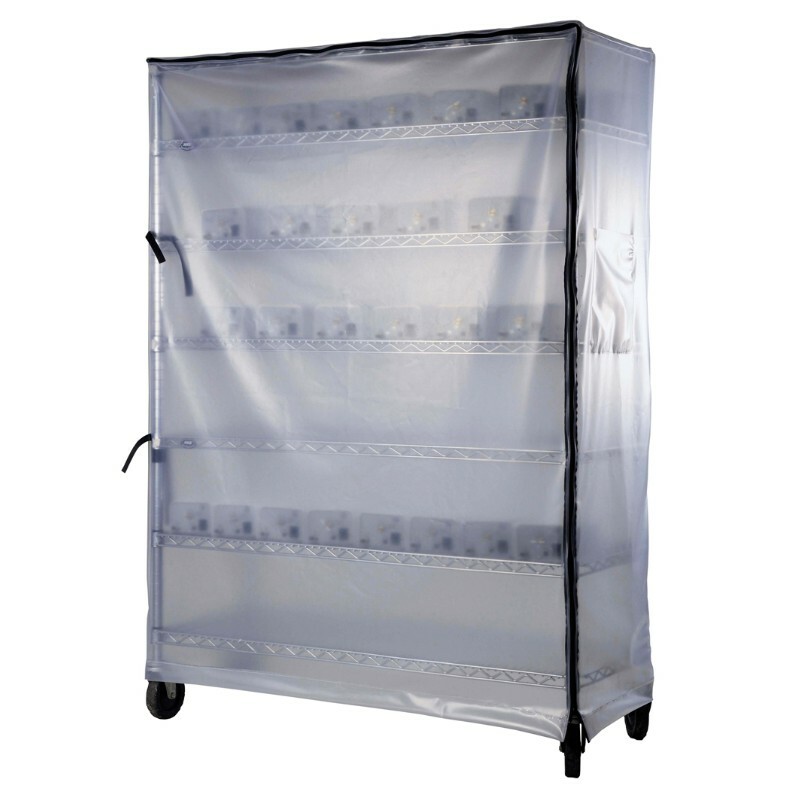 Desco’s clear cart covers are made from a dissipative (10E9-10E10 ohms per ANSI/ESD STM11.11) and low charging 12 mil polyvinylchloride (PVC) material. 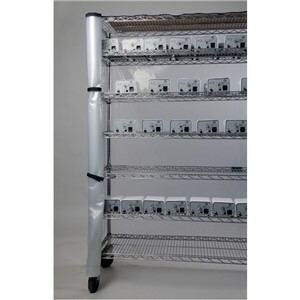 They are designed to be used with ESD susceptible items and allow contents of the carts to be identified without opening the cover. The covers include zippered front flaps that may be left open for access to the cart when the flap is opened. The flap can be locked (lock not included) closed to prevent tampering with cart contents when not in use. A dissipative document pocket is located on the outside of the cart to store documents.